EACH day an average 27 houses and units were snapped up on the Sunshine Coast as values rose quicker than anywhere else in Queensland. Median house values continued to rise, up 7.7 per cent to $617,785 in the year to September. This represented a staggering growth when compared to the Gold Coast, which was the state's next top contender with 4.3 per cent growth to $646,553. Values barely budged in two of the regional centres Core Logic's latest data explored, and continued to steadily drop in another region to the north. The independent property analyst recorded a 1.7 per cent increase in Wide Bay, a 1.4 per cent rise in Cairns, and a 1.3 per cent drop in Townsville house values. The Sunshine Coast was again the state's top performer for unit sales, where median prices rose 5.3 per cent to $429,886. This price tag made purchasing a unit on the Sunshine Coast about $12,000 more expensive than buying on the Gold Coast, at $417,861. 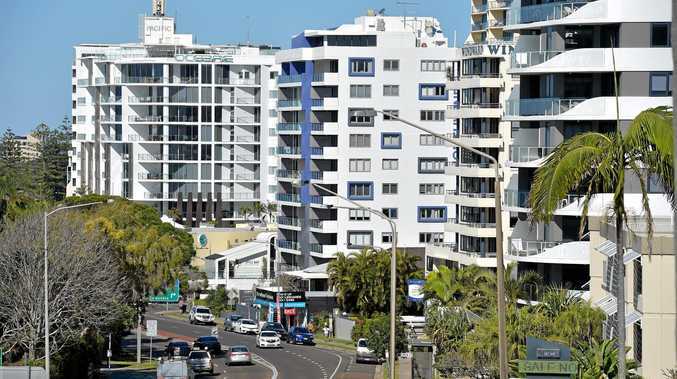 The region's unit-rate rise was near double the Gold Coast's 2.8 per cent increase, and bucked the trend of unit-value drops in Cairns, Wide Bay and Townsville. Nationally, the Sunshine Coast experienced the fourth-highest house value growth behind top performer Geelong, Victoria (houses up 16.6 per cent, units up 11.9 per cent); Newcastle and Lake Macquarie, NSW (up 9 per cent and 7 per cent) and Richmond-Tweed, NSW (up 8.7 per cent, 9.3 per cent). The Sunshine Coast's current median house price reflects a 34 per cent rise in five years, and 24.4 per cent for units across the same period. The data showed sales activity had slowed down 13 per cent on this time last year, and had decreased 10 per cent on the five-year average for the region. Of the 10,028 dwellings sold throughout the year, 65 per cent were houses and 35 per cent units. Core Logic reported units sat on the market 10 days longer (81 days) than houses (71 days). Homes across the region were selling faster when compared to August 2017, and vendors were offering similar discounts year-on-year. Detached houses were selling three days faster than a year ago, while a typical unit sold nine days faster. Sunshine Coast rental rates continued their steady rise over the past five years at $495 a week for a house and $400 for a unit; an increase of 3.1 and 2.6 per cent respectively.